Sundays are traditionally a time for family get togethers, so Sunday meal ideas need to be big, delicious and incorporate something that everyone considers their "favorite" food. Planning for a Sunday dinner, where more than four or five will be dining, will probably need to be started on Saturday, especially if the main meat course is something that requires overnight baking in the oven. Sunday dinners sometimes resemble "mini-reunions" which require assistance, so if cooking for a dozen people seems a bit intimidating, ask those who are coming to the dinner to bring a covered dish or dessert to help keep the host and hostess from being trapped in the kitchen for too long. Sprinkle rice in bottom of 9x13” shallow casserole, then sprinkle with seasoning packet and pour water over top of the rice. Mix well until all the rice has been moistened. Place chicken pieces in a single layer over the rice, then pour vegetables around the chicken. Mix the mushroom soup and soup can of water thoroughly before pouring this mixture over the chicken. Bake for one hour at 350 degrees for around 2.5 hours. Season the chicken breasts salt and pepper and cut into strips. Add dried Italian seasoning for extra flavor if desired. Sear the chicken in a medium hot pan in olive oil for three to four minutes on each side until thoroughly cooked. For the sauce, use kitchen scissors to cut up whole tomatoes while they are still in the can, which prevents your hands from becoming messy. For the sauce, start with two tablespoons of olive oil and three to four cloves of minced garlic. Sauté on medium heat for 30 seconds to one minute, then add the tomatoes, breaking them up into pieces with the wooden spoon. Add salt and pepper and cook over medium low heat until bubbly for about five to ten minutes, then add a handful of fresh basil. 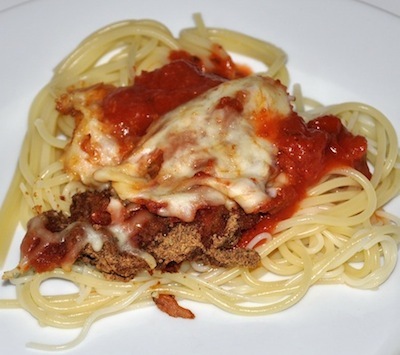 Serve over angel hair pasta and chicken topped with large slices of fresh mozzarella. Place half of the sliced potatoes and half of the sliced onions in a buttered nine-inch pie plate, then sprinkle with half of the dried herbs and drizzle with one tablespoon of the butter. Repeat layers until you have ended with the remaining melted butter. Season with salt and pepper and cover the plate with aluminum foil. Bake at 425 degrees for about 20 to 25 minutes. Then uncover and bake for 15 to 20 minutes longer, or until the potatoes are tender. 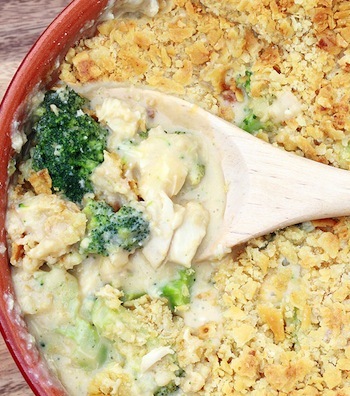 This broccoli dish is a delicious addition to any Sunday dinner ideas. Cook broccoli as directed on package, then drain and combine with the cooked rice, pimientos, celery, sour cream, soup, salt, and pepper. 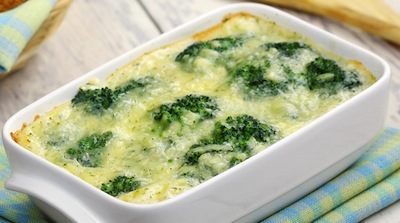 Transfer to a two-quart casserole dish and sprinkle cheese over the top. Bake at 325 degrees for 20- 30 minutes, or until thoroughly heated. Desserts included with your Sunday dinner ideas can range from three-layer, homemade chocolate cakes to individual fruit cups made to suit individual tastes. Pies are also a favorite, which are relatively easy to make and can be baked ahead of time.